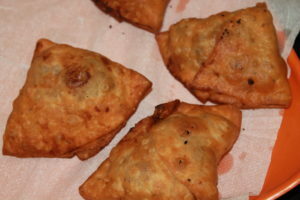 Today’s recipe is ‘Aloo Samosa Recipe’. 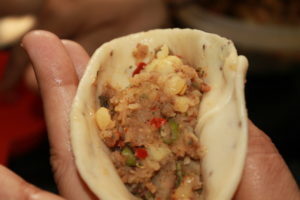 It is an easy samosa recipe, which is stuffed with spicy potatoes. Aloo samosa is a very popular Indian street food snack. 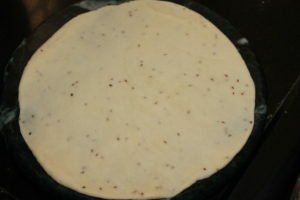 It is often served with tamarind or green chutney. You can serve it as tea-time snack or starters. 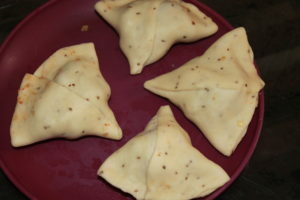 Samosa is a favourite snack of every age group from kids to elders. 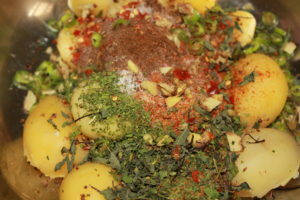 Boiled potato, maida/plain flour, mint leaves, coriander leaves, few spices, and oil. 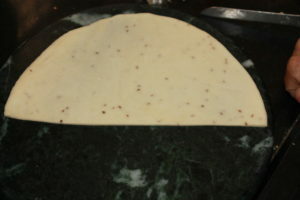 In this recipe, we prepared outer covering with plain flour dough. 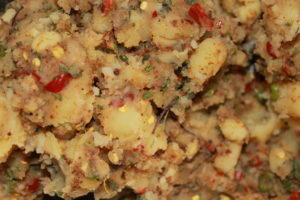 Stuffing is made from boiled potatoes which are spiced with red chilli powder, mint leaves, coriander leaves etc. Stuffing prepared for this recipe requires no oil. 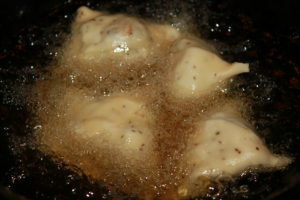 Deep-fry samosas on low flame for crispy outer coating. If you want you can bake samosa to make it healthier options. 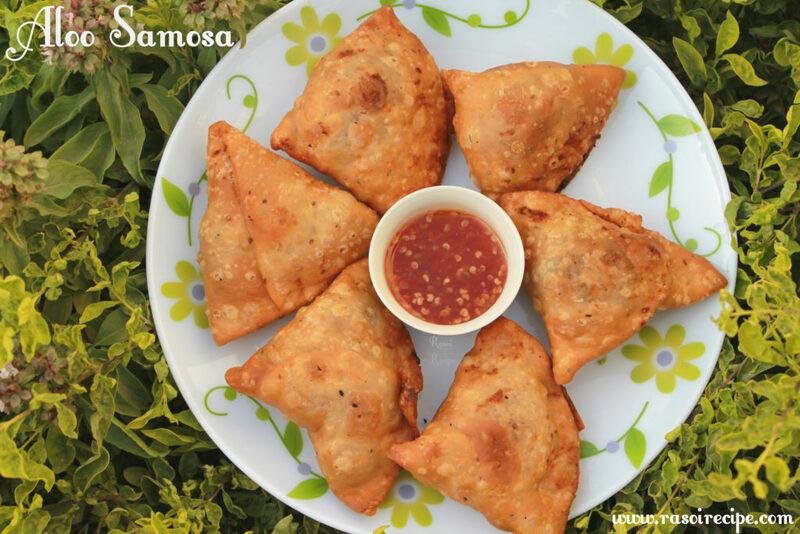 This samosa recipe goes well with green chutney/tamarind chutney. Use this same samosa recipe for samosa chaat or chole samosa. 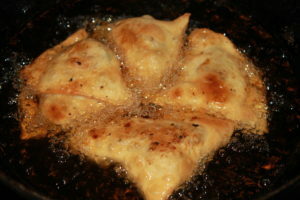 Size of samosa depends upon the size of your dough balls. 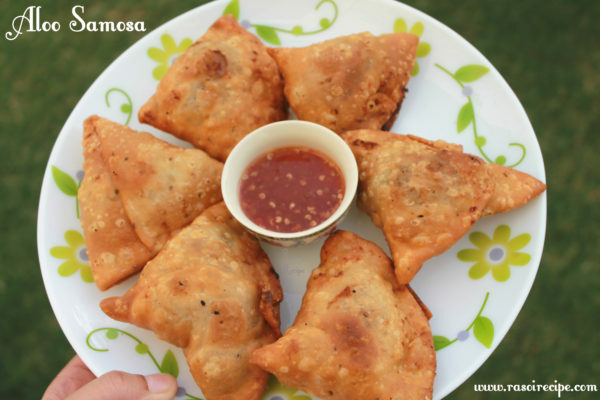 Enjoy hot crispy samosas this monsoon, I have shared variety of samosa recipes, both veg and non-veg, you can check them here – Keeme Ke Samose | Minced Meat Samosa Recipe, Moong Dal Samosa (Rajasthani special samosa recipe), Chicken Samosa | How to make chicken samosa recipe, Crispy Onion Samosa, how to make onion samosa | Irani Samosa. 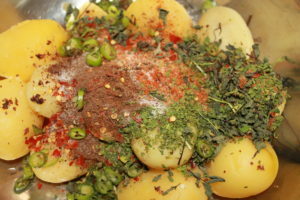 In a mixing bowl, take boiled potatoes, mint leaves, coriander leaves, red chilli powder, salt, roasted cumin powder, chopped green chillies, red chilli flakes and chopped ginger. Mash potatoes and mix everything well. Keep it aside. 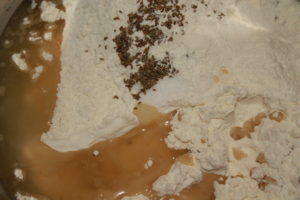 In a bowl, take all purpose flour, salt, carom seeds and oil. 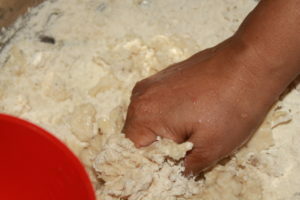 Knead a tight dough with the help of water. 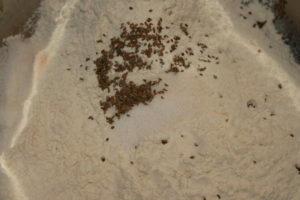 Keep it aside for half an hour, covered with a damp cloth. 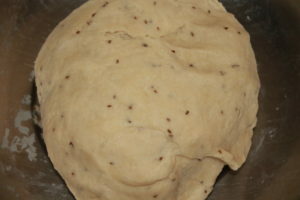 Divide dough in equal size balls. 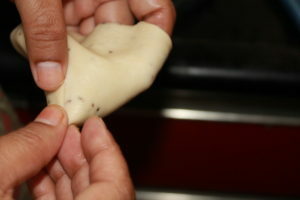 Prepare a round chapati out each ball. Cut them in equal halves to get two semi-circles of equal size. Take one semi-circle at a time, fold it in a cone shape. 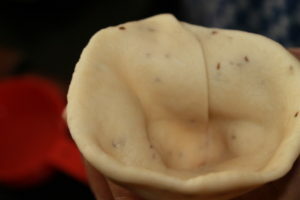 Fill the cone with the stuffing, close it by folding the top. 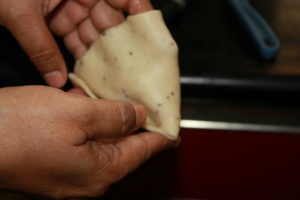 To paste the samosa use water. Repeat the above steps to prepare all the samosas. Start frying samosa till golden brown on medium flame. 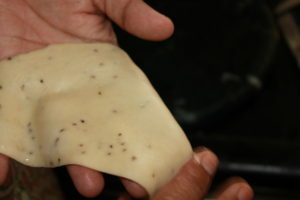 Remove samosa from oil and keep on absorbent paper. Fantastic detailed recipe with lots of helpful photos for reference. Can’t wait to try it out! This is great. I have been looking for new things to try as apparently I will be cooking more now. I love spicy food and the few times I have had Indian food I enjoyed it. Thanks for sharing. Wow. Looks sooo yummy. Samosa is my favorite snack after vada pav. I’ve tried a few veg somosas before. These look even better than the ones I’ve tried though. Yum!